Strathmore-Brooks MLA Derek Fildebrandt was found guilty Monday in Edmonton traffic court of leaving a hit-and-run. He was fined $402. Strathmore-Brooks MLA Derek Fildebrandt was found guilty in Edmonton traffic court Monday of leaving the scene of an accident and failing to notify the owner of the damaged vehicle. He was fined $402. There was no evidence Fildebrandt was at a government meeting the day the crash happened, Commissioner Stewart Douglas said. Fildebrandt didn't have notes, meeting minutes, or other MLAs who could specifically recall him being at a meeting when the collision occurred. During testimony in September, Fildebrandt said he didn't have any specific recollections of that day but told court it was his usual practice to be at his office for a meeting each day at 7:30 a.m.
​A former neighbour testified in February that Fildebrandt backed into her vehicle in an Edmonton parking lot in June 2016. Amy Rawlinson, testified that she heard a loud noise outside her downtown Edmonton condo at about 7:45 a.m. on a June morning in 2016. She said she saw a neighbour walk out to his red Ford F150 pickup, back into her company van and drive away. When she spotted Fildebrandt with his truck the next day, she took down his licence plate number and went to police, Rawlinson said. 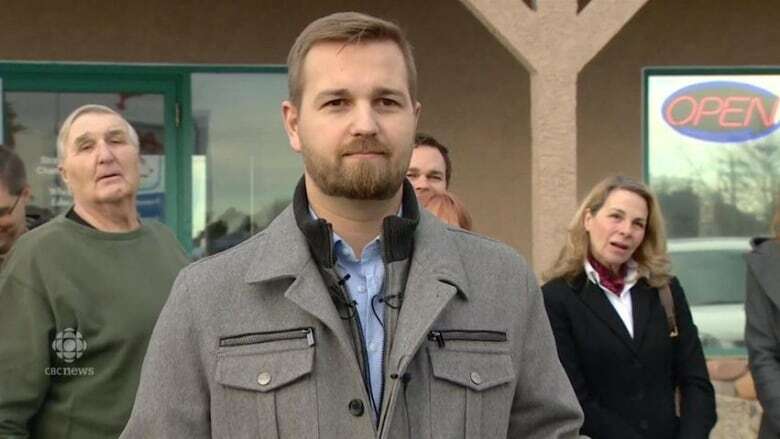 Fildebrandt was charged under the Alberta Traffic Safety Act with leaving the scene of an accident and failing to notify the owner of a damaged vehicle. He currently sits as an Independent. Alberta Premier Rachel Notley said Fildebrandt's recent run-ins with the law don't "bode well for him" and his political future. Speaking to CBC in a year-end interview, Notley said everyone makes mistakes but in the case of Fildebrandt it's a question of whether it's a " redeemable mistake." "The concern with respect to Mr. Fildebrandt is that he never took responsibility for his mistake," said Notley. "I don't know how exactly you redeem yourself, if you don't start by telling the truth and taking responsibility." Late this fall, ​Fildebrandt was charged with unlawful possession of wildlife and entering onto private land without permission. Alberta Justice said that on the afternoon of Nov. 4, fish and wildlife officers were called about a deer shot on private land without permission from the landowner. The incident was reported to have happened near Sundre in west-central Alberta. Fildebrandt is to appear in court Feb.2 in Didsbury, and is not taking issue with the charge. In August, Fildebrandt was outed for renting his government-subsidized downtown condo on Airbnb. Initially he claimed the controversy was a political smear. But within a few days, Fildebrandt said he would issue a cheque in the amount of $2,555, the money he earned from the sublets, to the province.